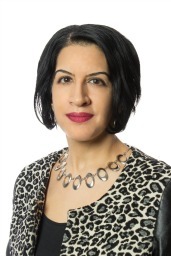 Dr. Noorfarah Merali is a Registered Counselling Psychologist with expertise in Immigrant Families, Cross-cultural Adaptation, and Immigrant and Refugee Mental Health. She is a tenured professor in the Counselling Psychology Graduate Program at the University of Alberta, and is a Faculty Fellow of the Centre for Global Citizenship Education and Research. Dr. Merali was the Director of Clinical Training for the CPA Accredited Doctoral Program in Counselling Psychology, as well as the Coordinator for all Counselling Psychology Graduate Programs at the University of Alberta for the 5 year period from September 2008 to April 2013, including the Master’s thesis-based, course-based, and School Counselling programs. She has recently resumed the role of Coordinator and Director for the School Counselling Master’s Program. Noorfarah has over 17 years of combined experience across the non-profit, post-secondary education, health care, and government sectors in the areas of: (1) Mental Health Service Provision and Program Leadership, (2) Teaching, Curriculum Design, and Diversity Training, (3) Program Design and Evaluation, (4) Cross-cultural, community-based, and immigration policy research, (5) Strategic Planning and Advisement, (6) Fundraising, and (7) Graduate Student Supervision. She has been approached by organizations such as the United Nations, Citizenship and Immigration Canada, Health and Human Resources Development Canada, the Alberta Mental Health Board, and the YWCA for help with projects and programs related to immigration, or for staff training. Programs she has designed have received recognition from the Canada Council for Refugees and the (national) Minister for the Status of Women as prototypes for excellence in service delivery to immigrant and refugee communities. Dr. Merali utilizes an integrative approach to counselling practice, drawing on cognitive-behavioural therapy, the theory of multicultural counselling and therapy (MCT), the transtheoretical model of therapy (TTM), and recent advances in the science of mind/body medicine. Noorfarah Merali's interests and publications encompass four intersecting areas: (1) the impact of Canadian immigration policies on migrants’ adjustment and quality of life, (2) acculturation patterns and the impact of the cultural transition process on immigrant and refugee families, (3) immigrant and refugee mental health, and (4) multicultural counselling competence. Dr. Merali's research program has been funded by grants from the Social Sciences and Humanities Research Council of Canada, Status of Women Canada, the Prairie Metropolis Centre of Excellence for Research on Immigration, Integration and Diversity, and the Immigration & Intergovernmental Relations Branch of Alberta Advanced Education & Career Development.